Recently, the Georgia Poison Center and Georgia Emergency Rooms have noticed a troubling new trend, children drinking hand sanitizer. Frequent hand washing is one of the best ways to prevent the spread of germs. When soap and water are not available, hand sanitizers are commonly used. Hand sanitizers seem to be everywhere and have been associated with a significant reduction in microorganisms of the skin. They are inexpensive and convenient, though not without danger. The packaging of hand sanitizers can be very tempting to children as they come in bright colors and possibly flavored. Though a tiny amount of hand sanitizer that may have been licked from your hands is unlikely to cause you to become ill, ingesting more than a taste could put you at risk for alcohol poisoning. Hand sanitizers will either be alcohol based (ethyl alcohol or isopropyl alcohol) or non-alcohol based (benzalkonium chloride). Isopropyl alcohol is commonly known as rubbing alcohol. The concern for poisoning relates to the ethyl alcohol, also called ethanol. It is the same alcohol found in beer, wine and other liquors, as well as perfumes, after shave lotions and mouthwash but at a much higher concentration. The concentration of alcohol in hand sanitizers varies from 45% to 95% with the most commonly used in the range of 60-70%. All hand sanitizing products are safe and effective when used properly but there is a potential for abuse. The alcohol used in the product has been altered to make it taste bad but this may not discourage some children from purposely drinking hand sanitizer in order to “get a buzz”, “get drunk” or from a dare. We hope to make you aware of this trend and be on the lookout for any abuse.  Our Data: We collected our data from the AAPCC as well as Georgia Poison Center database. Between 2011 and 2016, the nation’s poison control centers have experienced over 110,000 reported hand sanitizer calls to children. Over the past 6 years, the Georgia Poison Center has experienced over 3,300 reported hand sanitizer calls to children.